Dr. Kipp is a Board Certified primary care physician and has provided care to patients for over 30 years. 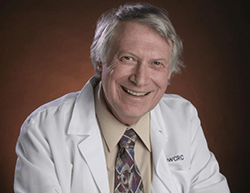 He is currently a medical sub-investigator and has contributed to over 65 clinical trials here at NWCRC. When asked about his work, he says, “I enjoy patient contact and knowing that I’m making a difference through research."